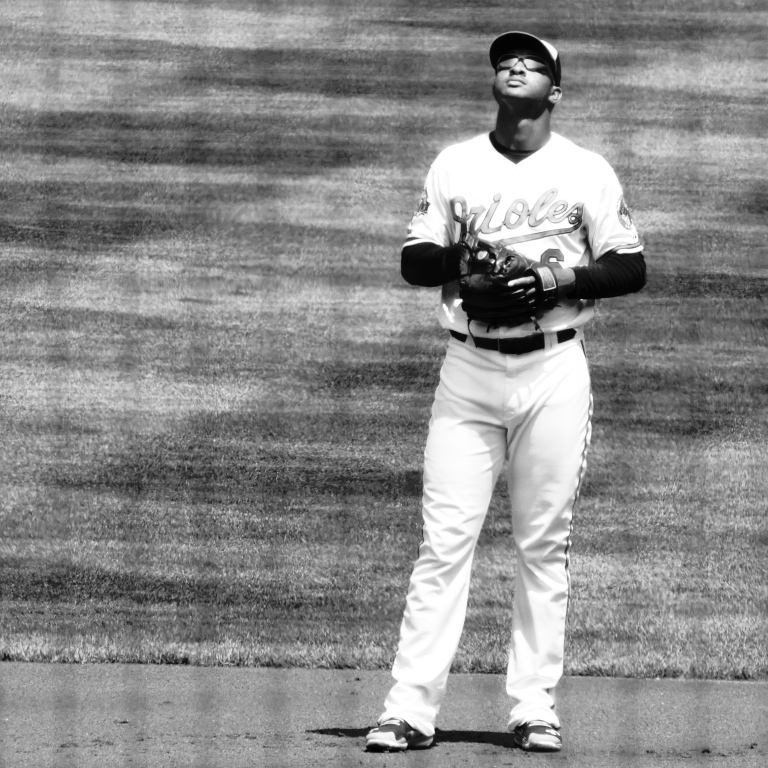 Jonathan Schoop, Second Base. Baltimore Orioles. An ad placed by Cheerio’s in today’s Baltimore Sun. Photo: Oriole Park at Camden Yards, Baltimore, Maryland. August 10, 2014. This entry was posted in Baltimore Orioles, Baseball and tagged black & white, photography, Post-Season, Walt Whitman by Jackie, The Baseball Bloggess. Bookmark the permalink. When I was a young boy, Ernie Banks told us that “It’s a beautiful day for a ballgame.” I believed him. I still do. Go O’s. I’d like a color-coordinated World Series match of orange and black uniforms. Me, too! I watched all six hours of that Giants-Nats game last night … incredible! I was so happy for the Giants and for Brandon Belt. And, we always knew Joe Panik was something special … from his days in AA in Richmond. I knew I loved Cheerios! The Royals are hot at the right time. Their outfielders have really stepped up, so the Os will need to hit some three-run homers far over their heads. KC took four of seven in the regular season; I see the Os winning in six, wrapping it up just before The Baseball Bloggess’s birthday.